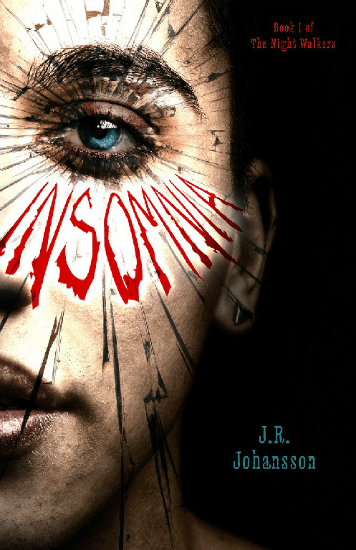 Today I’m thrilled to bring you an interview with YA author of INSOMNIA, J.R. Johansson. After watching the interview, don’t forget to enter to win a NookHD 16GB tablet w/blue case! Pre-order INSOMNIA at any of these book outlets! Finally, enter to win a NookHD 16GB tablet w/blue case! Glad to have you Jenn. And Julie, I agree. Sounds pretty cool to me! I’m definitely adding it to my TBR list. Haha…you got that, did you? 🙂 There is *some* romance, but it’s definitely not the main story. That was my assumption too! 🙂 Smart girl. After reading the beginning blurb I’m barely able to finish this comment, my fingers are dancing on my kindle . . . I know! It sounds so awesome! Happy reading. Great interview! What a thrilling idea for a book. Unexpected twists and surprises are always fun and I always find myself smiling to myself and thinking “That’s so clever!” whenever I read one. Best of luck to Jenn. This looks like an awesome read and I enjoy “dark” fiction. I loved the format of the interview. Sounds spooky, indeed. Christina… I’ve left you an award on my blog which I think you deserve! Bish- Thank you for the award! That made my day. And yes, INSOMNIA sounds so creepy!